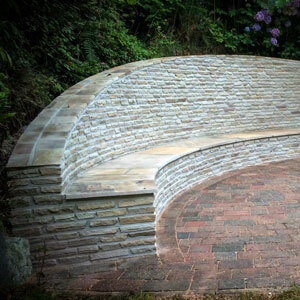 The brief for this project was to build a retaining wall for a raised bank, incorporating a seat. 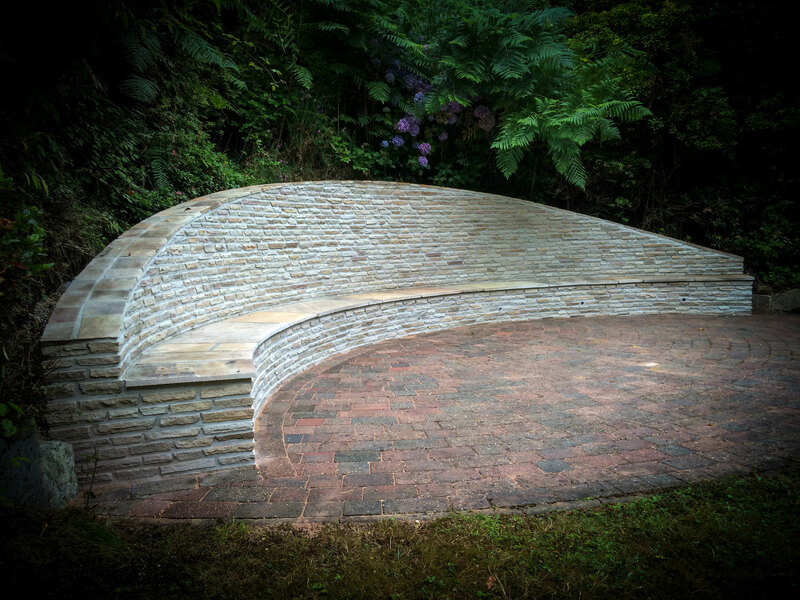 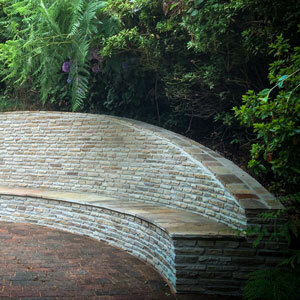 A large, curved sandstone seat which also acts as a retaining wall for the raised bank behind, makes the most of an opportunity to add some creative interest to an otherwise challenging site. 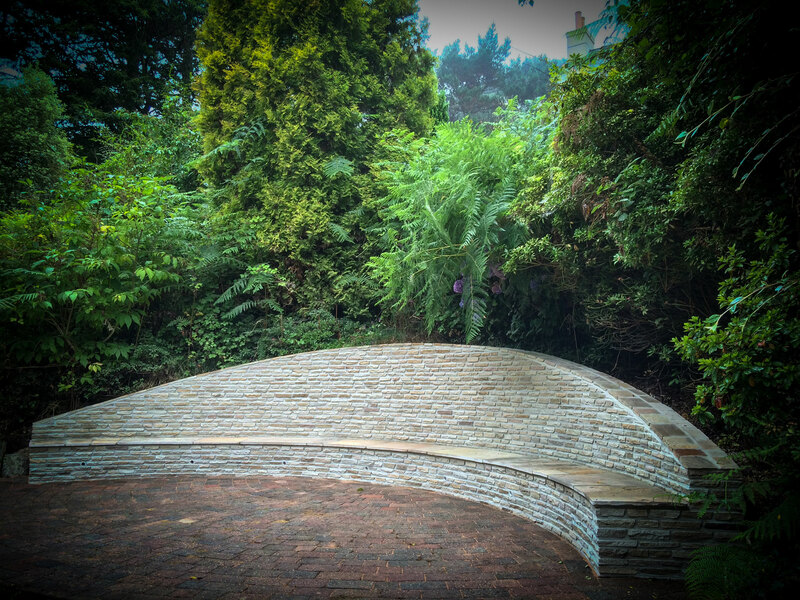 The simplistic design is practical as well as effective and blends in well with its surroundings, and the sweeping curve of the wall is mirrored by the semi-circular paved area in front.